Benjamin* was on the run from his family after converting to Christianity from Islam, and needed a place to stay. He temporarily stayed with a hospitable Christian brother before hearing of Brother Delly*, who ministers to Muslim Background Believers (MBBs). Initially, Delly was unsure whether Benjamin’s faith was genuine. Some so-called MBBs he had supported turned against him and caused him a lot of trouble. But Delly took Benjamin in despite his doubts, and as time passed he became convinced that Benjamin was a true believer. Benjamin continues to live with Delly, all the time growing in his knowledge of Christ. 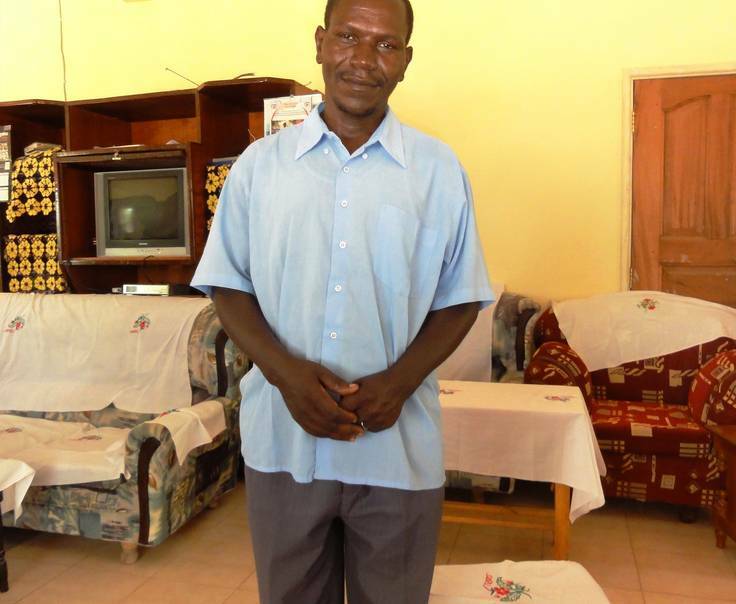 He earns a small income through janitorial work, but continues to face danger and uncertainty. He heard that a Muslim uncle living in the area has heard about his conversion and may be looking for him. Every time he goes out, he wears clothing that hides his identity. The situation puts Delly at risk as well. He knows that if he wants to become a useful tool in the hand of the Redeemer, he needs to systematically study the Bible. Amid the trials he and other MBBs experience in his country, Benjamin’s comfort and strength is found in Christ alone, and the Word of God by which He shepherds His own.